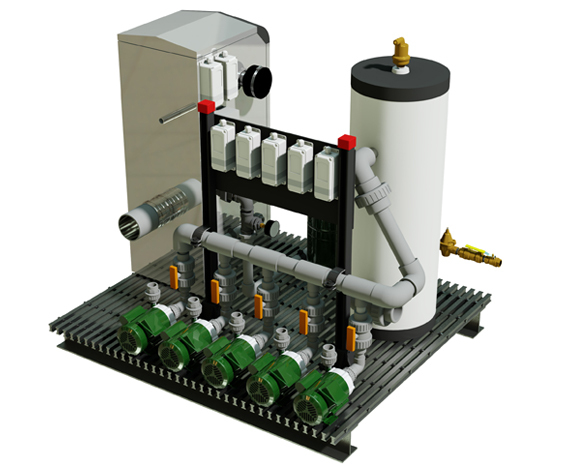 The Delta Hydronics Light Commercial Aquaculture Heating Package is a compact, energy efficient, and cost effective way to provide centralized heating to mulitiple points in an aquaculture system. This package can be used to heat any body of water such as raceways, nursery tanks, broodstock, etc. 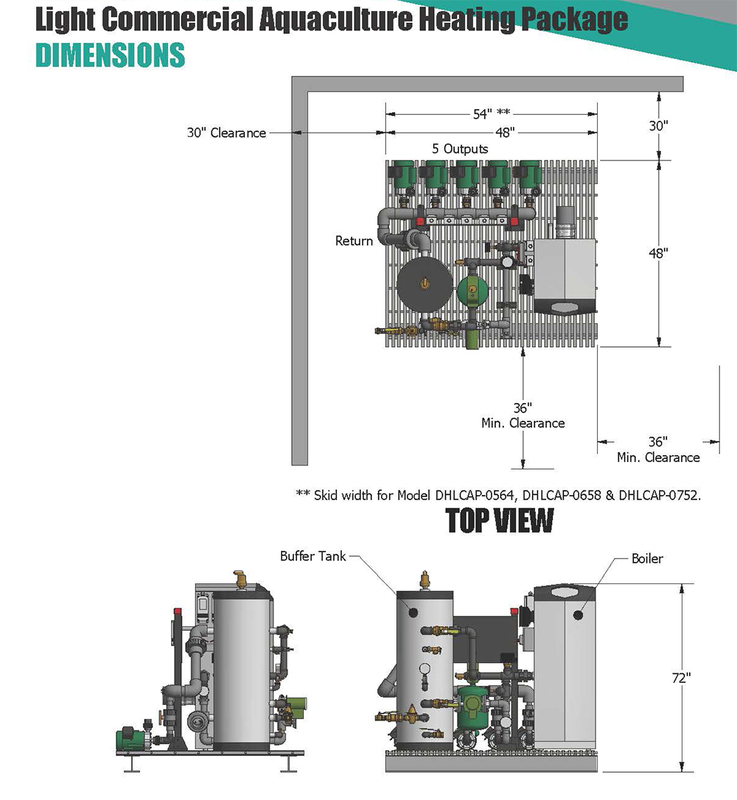 The LCAP utilizes a 95% efficient Condensing Boiler, Insulated & Jacketed Buffer Tank, and Titanium/ Stainless Steel Immersion Grid Coil Heat Exchangers to maintain each location at its desired temperature setpoint. Every point will have its own dedicated circulation pump and Electronic Temperature Controller, which would activate the pump to circulate heated water through the Heat Exchanger when the aquatic water temperature dropped below a desired setpoint. Pumps can be preplumbed and mounted as shown, or installed in the field.